The Butler Conservation Fund was established in 1988 by New York philanthropist Gilbert Butler, who had enjoyed a long and successful career as a pioneer of the private equity business. The Butler Capital Corporation (BCC) managed investments on behalf of pension funds for a number of Fortune 500 companies and other large institutional and individual investors. When Mr. Butler wound down his business, he decided to dedicate 80 percent of the assets realized by the liquidation of BCC to charitable causes. Of this amount, 80 percent is devoted to environmental conservation through BCF. Mr. Butler’s philanthropy began in 1988 with the establishment of the Gilbert & Ildiko Butler Foundation, which supported environmental conservation as well as education, historic preservation, the arts, and other social initiatives. In 2006, support for institutions and initiatives unrelated to environmental conservation devolved to the newly created Gilbert & Ildiko Butler Family Foundation. The Butler Environmental Protection Fund and the Butler Fund for the Environment were subsequently set up to provide long-term support for a select group of organizations dedicated to land and water conservation and environmental advocacy. These funds were incorporated into BCF as a single entity in 2009 and 2010 respectively. Outdoor education programs supported by BCF operate under the umbrella of the Butler Outdoor Education Fund (BOEF), which was created in 2011. As of December 31, 2015, BCF’s financial assets were approximately $134 million. 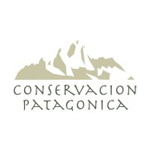 The founder has a strategic commitment to augment these assets over time and to continue in the coming decades the fund’s support for conservation efforts that embody his vision and create an enduring legacy. To date, BCF and its predecessors have invested a total of $79.5 million in all charitable activities. Environmental programs have received more than $41 million. In addition, more than $14 million has gone toward outdoor education programs, and more than $10 million toward advocacy. The allocation of the fund’s resources is guided by many of the same principles that underpinned the success of Butler Capital, identifying opportunities where its investments can leverage large-scale funding by other parties. After a grant is awarded, BCF works closely with its beneficiaries on an ongoing basis. BCF’s assets are managed by the Black River Management Company (BRM), the successor to Butler Capital and a limited liability company based in Great Neck, New York. BRM is responsible for the day-to-day administration and oversight of all operations of the Butler Conservation Fund and its affiliates.